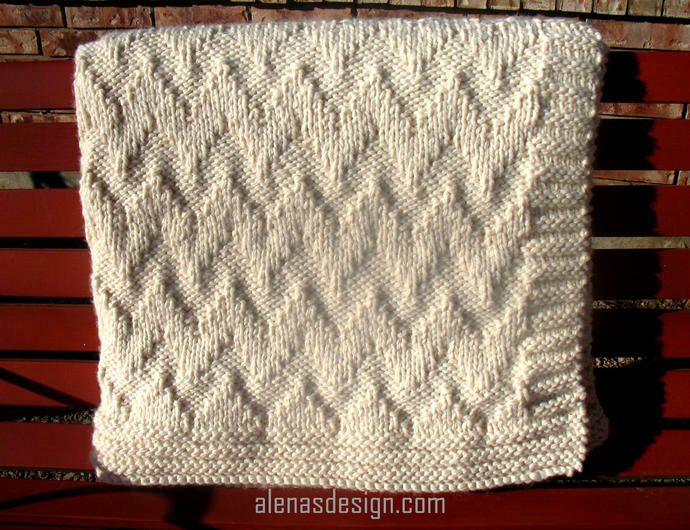 This Afghan features a Chevron Pattern which looks the same on both sides. 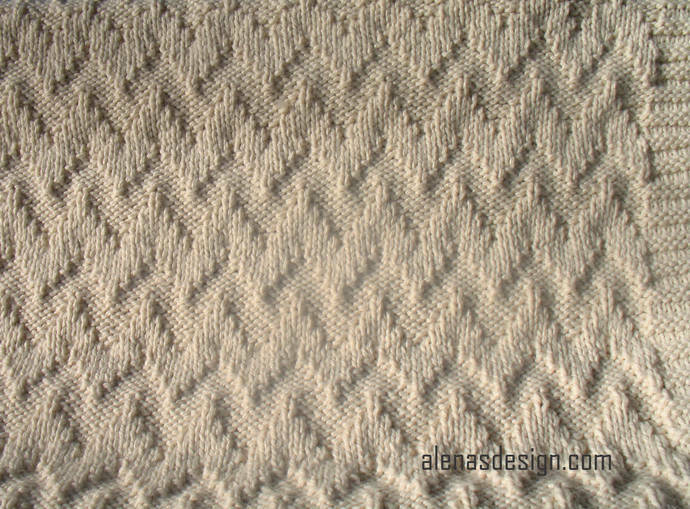 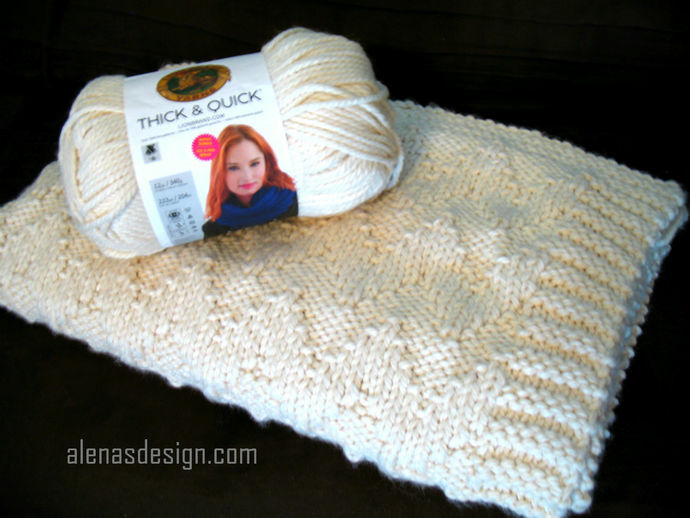 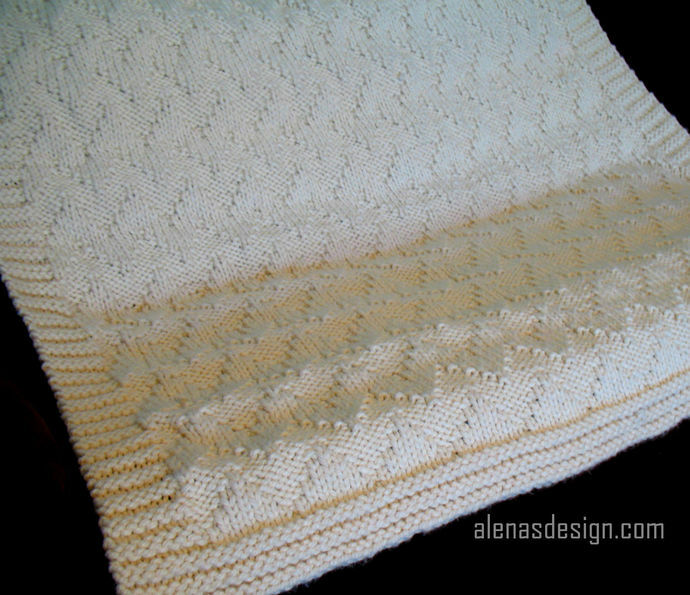 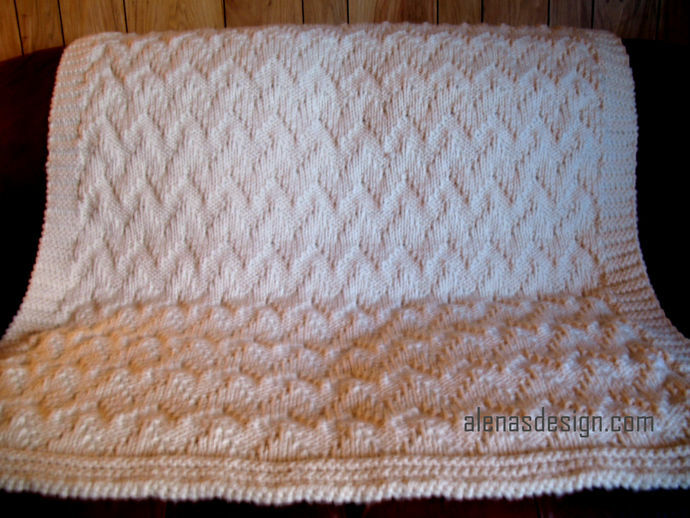 With this pattern you may make a very attractive Baby Blanket, and/or Afghan of any size. 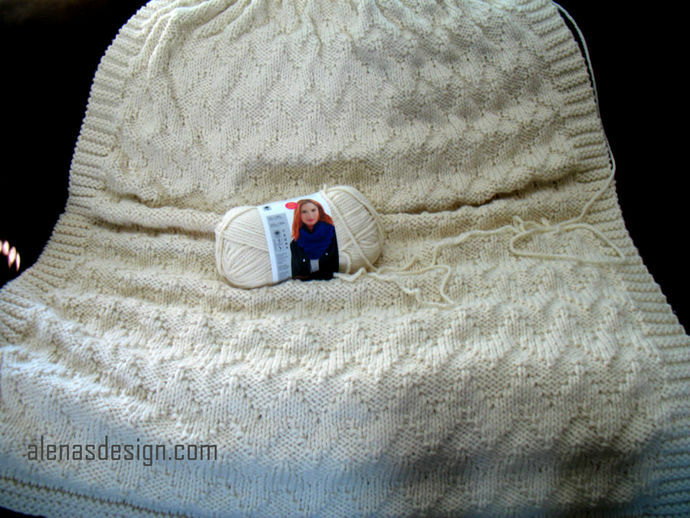 Pattern includes instructions on how to make the adjustments. 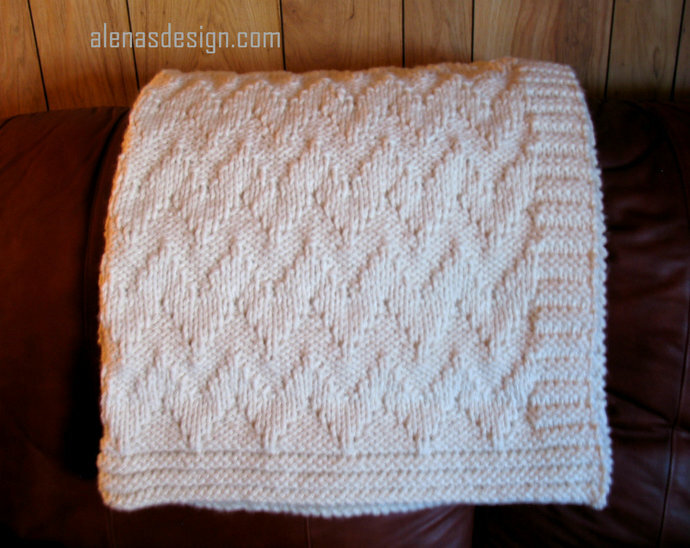 Enhance the Interior of your Home with this Chevron Afghan, and enjoy it every evening as you relax. 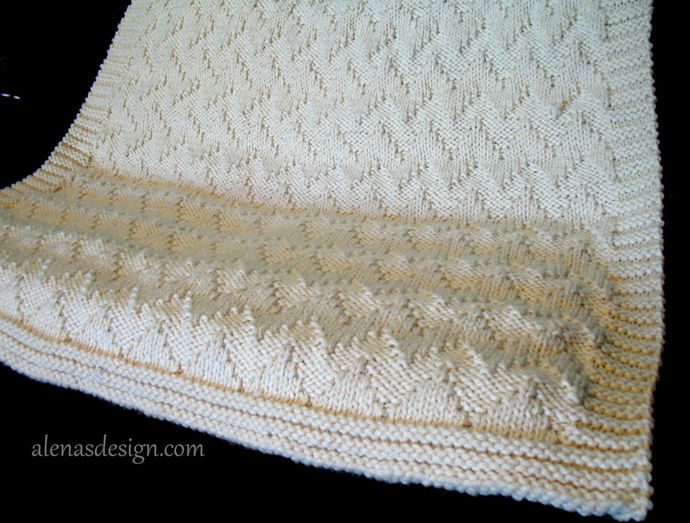 US size 13 / 9 mm Circular Needle 29 in / 73.5 cm long, or size to obtain gauge.